Body fat percentage is nothing more than the weight of adipose tissue divided by total weight. So all we have to do to know body fat percentage is measure a person’s body fat and body weight. The second part is easy. The first part is very hard. What is a “gold standard” you ask? Is a measurement that we are CERTAIN is 100% accurate. An example is a kilogram (an amount of weight equal to about 2.2 pounds). How do we know that a kilogram is really a kilogram? Because it is weighed against other weights known to be exactly one kilogram and ultimately, those weights were weighed against the world standard kilogram (a chunk of platinum located in a French vault that is DEFINED as exactly one kilogram). 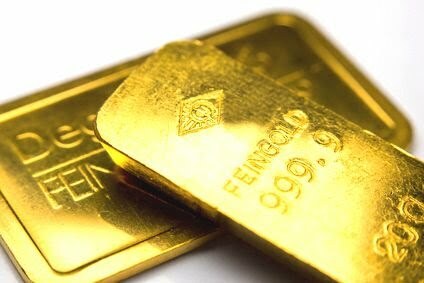 We know what a kilogram is because we have a “gold standard”. But what about body fat? Our gold standard for body fat is DIRECT MEASUREMENT. In other words, the only way to know how much body fat a person REALLY has is to measure that fat DIRECTLY-to separate it from everything else on the body and weigh it. If you think that doing this is challenging, you’re right. 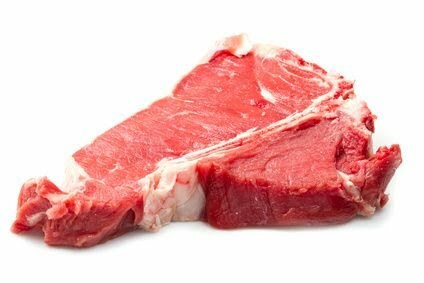 Before we talk about how to DIRECTLY measure the fat in a human being, let’s look at how it’s done in animals, specifically in meat. Suppose you want to figure out how much fat is in a five pound brisket. How do you do this? It’s not so easy. You might think that all you have to do is cut off all the visible fat and weigh it. But if you try to do this you run into problems. First of all, there is a lot of visible fat. After you carefully cut away the thick pieces of fat you’ll begin to notice that there are many more tiny threads of fat “marbled” into the meat. You could spend hours or days carefully separating all this out and in the end you would still have missed a lot of invisible fat. To overcome this, food scientists use chemistry. Rather than mechanically trim out all the fat in food, they use a process called chemical extraction. Here is how it works. The raw meat is put into a very powerful high speed blender and chopped and ripped into microscopic fragments. Essentially it’s a very well blended raw meat “smoothie”. Then they mix this smoothie with a large amount of a chemical called ether and shake the whole thing up for a really long time. What happens is that the ether “pulls” out all the fat. Ether is an organic solvent like gasoline (and like fat) and all the fat in the meat smoothie dissolves into the ether. But, and this is important, everything in the meat that is NOT fat does NOT dissolve into the ether. So at this point in the process, scientists have ether and fat mixed together and all the other stuff in meat separated out from it. It’s a lot like oil and vinegar salad dressing: the ether and fat float on top and everything else is at the bottom. Now the two components are poured into a big funnel with a valve at the bottom that opens and closes. After the mixture has settled, the valve is carefully opened and all the bottom stuff (the part of the meat that isn’t fat) is allowed to drain through until it has all left the funnel. Now the funnel contains only a mixture of ether and dissolved fat. At this point, we still don’t know how much fat we have but fortunately there is an easy way to find out: boil-off the ether. Ether boils at a very low temperature (94 degrees) so it’s easy to get rid of it by applying a little bit of heat. Once all the ether has boiled away, what’s left is ALL the fat that was originally in the meat. Now, that can be weighed and, at long last we know exactly how much fat was in the original meat! Is the Human Body Just a Piece of Meat? So far we have talked about measuring fat in cow meat and we have seen that it’s not as easy as it sounds. But what about a human body? The first and most obvious problem is that no matter how curious a human being is about his body fat percentage, he doesn’t want to be put in a blender to find out. In other words, what works on a brisket won’t work on a human. There is no way to measure body fat DIRECTLY on a living person. But what about dead human beings? Couldn’t we measure body fat on a cadaver in the same way we just described for meat? Yes, we could, and this HAS been done on bodies that were donated to science by their owners. And this is the very closest we can ever come to a gold standard in body fat measurement. In other words, if we want to know whether a technique for ESTIMATING body fat is accurate, ultimately we have to compare it against putting a body in a blender. THIS is why body fat measurement is so difficult. Once we have a gold standard for body fat measurement, then we can use that to compare how well various less invasive estimates come to matching it. In other words, if we want to know whether underwater weighing is very accurate, lets compare it to the "body in a blender" approach. This presents another problem. Namely, a gold standard can only be determined on dead people and so unless we just happened to do underwater weighing on the person the day before he died, we won't be able to compare. And so it goes. All techniques for "body fat measurement" are really just estimates and although we sort of kind of have a gold standard against which to compare them, the truth is that body fat percentages are mostly guesswork.